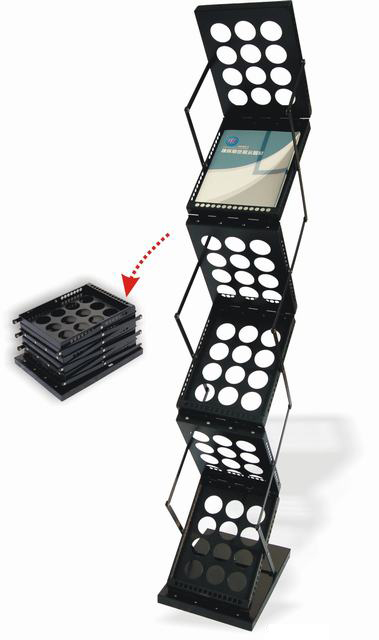 This Portable Folding Magazine Display Stand is a great addition to any tradeshow display, exhibition, promotional event. This Portable Brochure Holder is great for mobile salesmen, exhibitions and anywhere you need promotional material on the go. The unit expands and collapses in seconds. No need to remove your brochures from the display shelves during storage or transport. 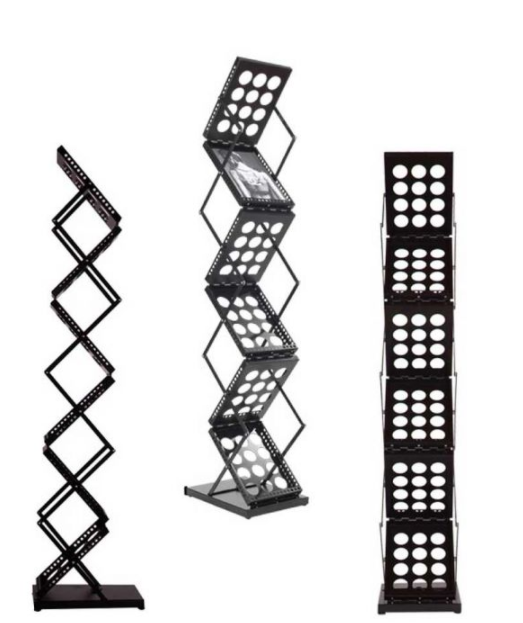 For storage, it easily folds down into a compact size and can be kept in a solid aluminum case.